In the present study, we investigated the anti-catabolic effects of coumestrol, a phytoestrogen derived from herbal plants, against interleukin-1β-induced cartilage degeneration in primary rat chondrocytes and articular cartilage. Coumestrol did not affect the viability of human normal oral keratinocytes and primary rat chondrocytes treated for 24 h and 21 days, respectively. Although coumestrol did not significantly increase the proteoglycan contents in long-term culture, it abolished the interleukin-1β-induced loss of proteoglycans in primary rat chondrocytes and knee articular cartilage. Furthermore, coumestrol suppressed the expression of matrix-degrading enzymes such as matrix metalloproteinase-13, −3, and −1 in primary rat chondrocytes stimulated with interleukin-1β. Moreover, the expression of catabolic factors such as nitric oxide synthase, cyclooxygenase-2, prostaglandin E2, and inflammatory cytokines in interleukin-1β-stimulated primary rat chondrocytes was suppressed by coumestrol. 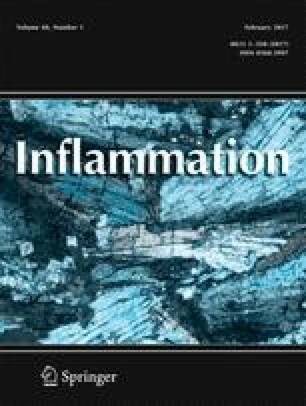 In summary, these results indicate that coumestrol counteracts the catabolic effects induced by interleukin-1β through the suppression of inflammation. Therefore, based on its biological activity and safety profile, coumestrol could be used as a potential anti-catabolic biomaterial for osteoarthritis. This study was supported by research fund from Chosun University Dental Hospital, 2015. J.S.Y., I.A.C., K,R.K., J.S.O., and J.S.K. contributed to the experimental design and collected the data. S.J.Y., G.J.L., Y.S.S., S.G.K., C.S.K., and J.S.K. contributed to the data analysis. J.S.Y., H.J.I., D.K.K., and J.S.K. did the writing and revisions of articles.